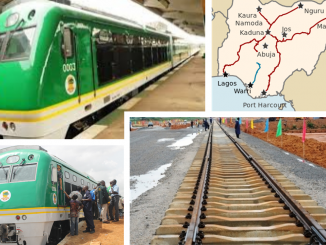 We hereby call on the minister of transport and President Muhammadu Buhari to urgently review the rail projects; ensure that contractors are paid and mobilised and that the South-East and South-South are equitably captured in the national rail projects. 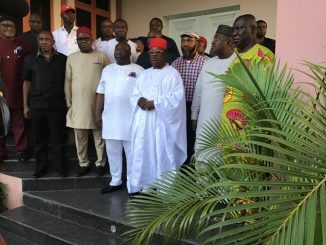 The attention of Igbo Ekunie Initiative, a coalition of professionals in Nigeria and the Diaspora has been drawn to a statement by Southeast PDP leaders/governors; namely Governor David Umahi, Governor Okezie Ikpeazu, Governor Ifeanyi Ugwuanyi, Senator Ike Ekweremadu, Osita Chidoka, Chris Ubah and others over alleged non consultation by Abubakar Atiku before announcing his VP pick being Mr. Peter Obi. Having carefully considered the allegations and the [continue here]…. 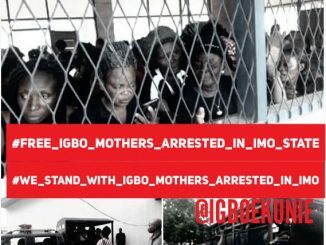 The attention of Igbo Ekunie Initiative, a coalition of professionals in Nigeria and the Diaspora has been drawn to the cowardly, primitive and illegal arrest of hundreds of Igbo women in Owerri Imo state by the Nigerian Police and security forces. These innocent and unarmed women were within their rights under the Nigerian constitution, engaging in a peaceful demonstration and [continue here]…. 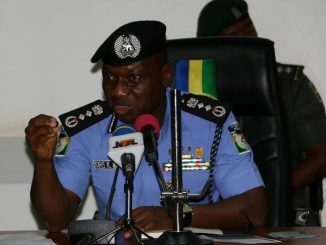 The attention of Igbo Ekunie Initiative, a coalition of professionals in Nigeria and the Diaspora has been drawn to recent directive issued by Nigeria’s Inspector General of Police, Alhaji Ibrahim Kpotum Idris to 36 States, and FCT Police Command to confiscate arms and ammunition including un-prohibited firearms or gaming/hunters guns legitimately used by various State, rural and urban communities’ vigilantes [continue here]…. 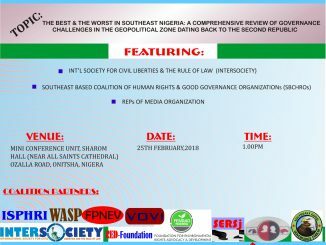 THE BEST & THE WORST IN SOUTHEAST NIGERIA: A COMPREHENSIVE REVIEW OF GOVERNANCE CHALLENGES IN THE GEOPOLITICAL ZONE DATING BACK TO THE SECOND REPUBLIC; AMONG OTHER BURNING NATIONAL ISSUES (Sharom Hall, Onitsha, Southeast Nigeria: 26th February 2018)-This media interaction has become necessary following near total, if not total collapse of quality leadership and good governance in the Southeast Zone in [continue here]…. Igbo Nation, The Biafran Question And Restructuring: The Way Forward Communique Issued At The End Of Igbo Ekunie’s 1st World Press Conference Held In Awka, Anambra State, Nigeria. 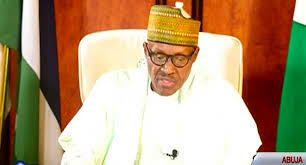 Renascent East-Developing The Homeland 45 years after the civil war, the Buhari presidency in 2015 returned Nigeria to full blown marginalisation and the vexed politics of exclusion. In this, the Southeast was [continue here]…. Operation Python Dance II And The Invasion Of Nnamdi Kanu’s Home Is Unconstitutional And Treasonable! 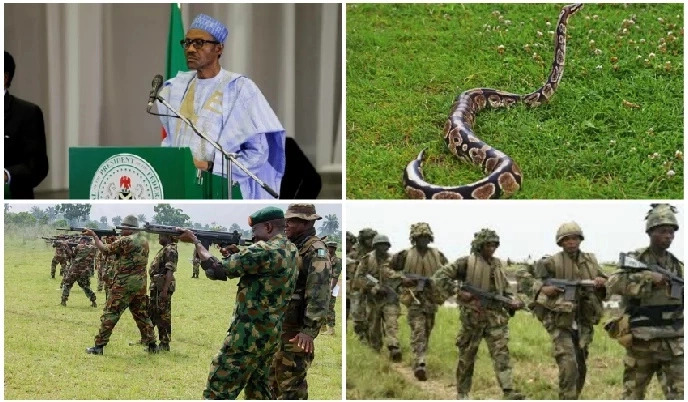 The attention of Igbo Ekunie Initiative, a coalition of professionals in Nigeria and the Diaspora has been drawn to another launch of operation Python dance II in the South-East and the invasion of Nnamdi Kanu’s residence by military armoured vehicles in a purported “show of force”. Emerging reports indicate that the invasion of Kanu’s home and other such civilian areas [continue here]…. 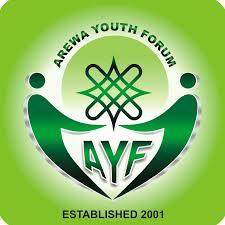 Arewa Youth Quit Notice: All Southerners And Christians Should Permanently Quit The Northeast And Northwest For Their Safety. The attention of Igbo Ekunie Initiative, a coalition of professionals in Nigeria and the Diaspora has been drawn to a purported suspension of the infamous, primitive and unconstitutional quit notice issued by so called Arewa youths. We want to put it on record that the quit notice was not withdrawn but was merely suspended. The audios and videos urging the [continue here]…. We the Igbo Ekunie Initiative, IEI, comprising individuals in Nigeria and the Diaspora; disagrees with President Muhamadu Buhari that Nigerian unity is settled and not negotiable. We insist that Nigerian’s forced unity is not settled and remains negotiable by all the ethnic nationalities that make up the country. Evidently, the current overheating of the polity and tensions coupled with [continue here]…. 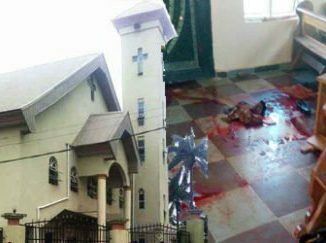 We the Igbo Ekunie Initiative, IEI, comprising individuals in Nigeria and the Diaspora; condemn in the strongest possible terms the senseless, gruesome and violent murder of innocent worshippers at Saint Philips Catholic church, Amakwa, Ozubulu, Ekwusigo LGA, in Anambra state on Sunday the 6th of August 2017 when some armed men opened fire during the Sunday service at the church thereby [continue here]….